Fish poop plays key ecological role! If asked to think of the ecological role fish play in rivers and streams, there’s a good chance you will immediately think of the fish as a predator or possibly prey. But fish can play another crucial role in the ecosystem—they are mini fertilising machines, delivering little packages of nutrients whenever they poop. This parcel of nutrients can stimulate plant growth—including phytoplankton, which forms the base of the food web. “Most studies that have looked at the relationship between body size and excretion rate have really focused on broad comparisons between species or even broader taxonomic groups,” Derry noted. The researchers had the perfect subjects for their study—brook trout from Cape Race in Newfoundland, Canada. This rather remote barren is home to a plethora of ponds and streams, largely untouched by human activities like fishing. Crucially, not all these ponds and streams are connected, which means the trout in one stream can’t mingle with trout in another. And with the ponds and streams all being a little different from each other, each stream’s trout population has evolved a little differently. “In the deep streams, you have larger fish at maturity with an older age of maturity. 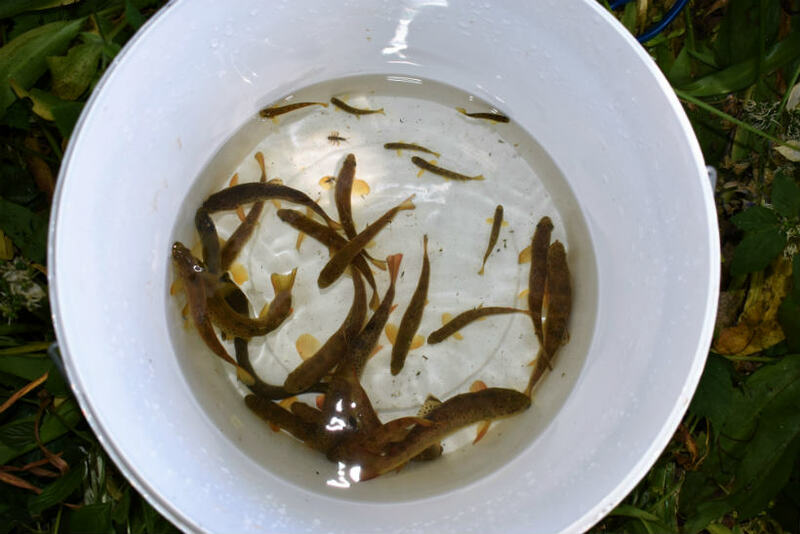 In the shallower streams the selection is for smaller fish at maturity and an earlier age at reproduction,” Derry explained. The trout whose parents came from the deeper stream still grew bigger than those whose parents came from the shallow stream. When comparing the average absolute individual excretion rate (the average amount of nitrogen actually excreted between the two populations), the researchers found no difference. On a per gram basis, however, things were a little different. The adults whose parents came from the shallower stream excreted more nitrogen on a per gram basis than those from the deeper stream, regardless of their size. Since the fish had lived in identical conditions since the moment of conception, this difference is likely due to genetics. But the story doesn’t end there. The researchers predicted what the nitrogen contributions of each wild population would be to their streams. It seems that shallow-stream populations are contributing more. The reason for this is somewhat simple—the shallow-stream population has two to three times more individuals than the deep stream population.